Two satellites, DANDE and CUSat, carrying amateur radio payloads were launched on Sunday, September 29. The SpaceX Falcon 9 rocket launch from California’s Vandenberg Air Force Base marks several firsts for the commercial space transportation company, including the maiden launch of an upgraded version of the Falcon 9 rocket with stretched fuel tanks, more powerful engines and a 5.2-meter payload fairing to enshroud satellites. It is also the first SpaceX mission from Vandenberg Air Force Base, a launch site on California’s Central Coast, where engineers modified an existing facility used by the U.S. Air Force Titan 4 rocket to be the West Coast home of the Falcon 9. Canada’s Cassiope space weather research and communications demonstration satellite is riding the Falcon 9 rocket into an elliptical near-polar orbit at an altitude of between 325 km and 1500 km. Secondary passengers aboard include POPACS, DANDE and CUSat. The second P in POPACS (Polar Orbiting Passive Atmospheric Calibration Spheres) stands for Passive, meaning that the three spheres do not carry radios on board. 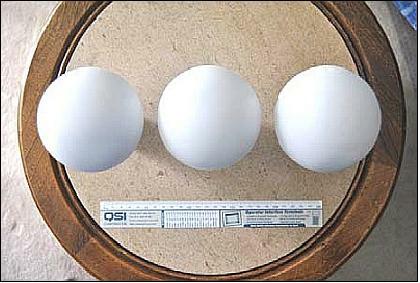 They are simple, polished ten-cm-diameter hollow Aluminum spheres, weighing 1kg, 1.5 kg and 2 kg, respectively, that will be radar tracked by the Space Surveillance Network of the U.S. Strategic Command and optically tracked by an international network of students with Go To telescopes. The purpose of the mission is to measure the way in which the total density of Earth’s upper atmosphere above 325 km varies in response to solar stimuli during the descending phase of Solar Cycle 24 and all of Solar Cycle 25. The spheres’ expected lifetimes, after deployment into the initial 325 km x 1500 km 80 degree orbit that they will hopefully soon share with DANDE and CUSat, are 10, 12.5 and 15 years, depending, of course on solar activity. DANDE stands for “Drag and Atmospheric Neutral Density Explorer.” Measuring drag and neutral particles in the lower atmosphere between 325-400 kilometers, DANDE will be measuring real time density, quantifying variations in altitude and over time, as well as providing in-situ model calibration data. 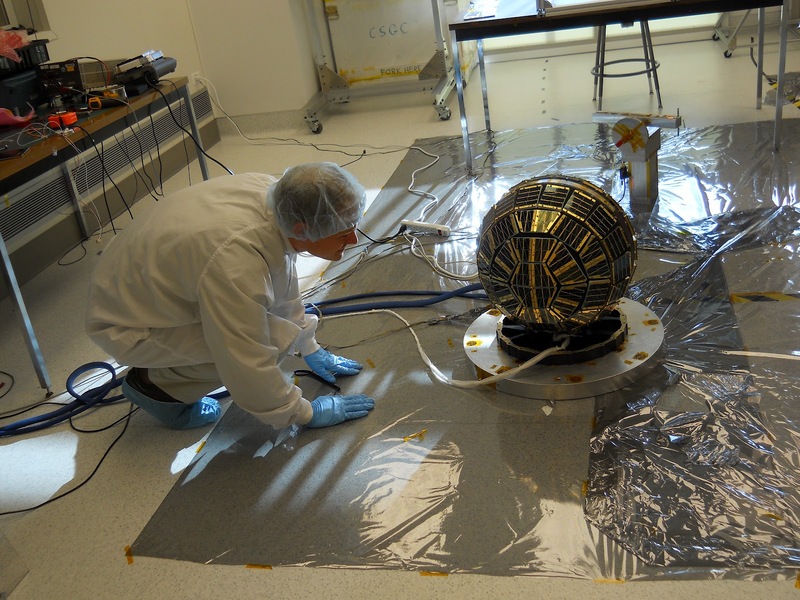 The satellite is a low-cost density, wind, and composition measuring instruments that will provide data for the calibration and validation of operational models and improve our understanding of the thermosphere. 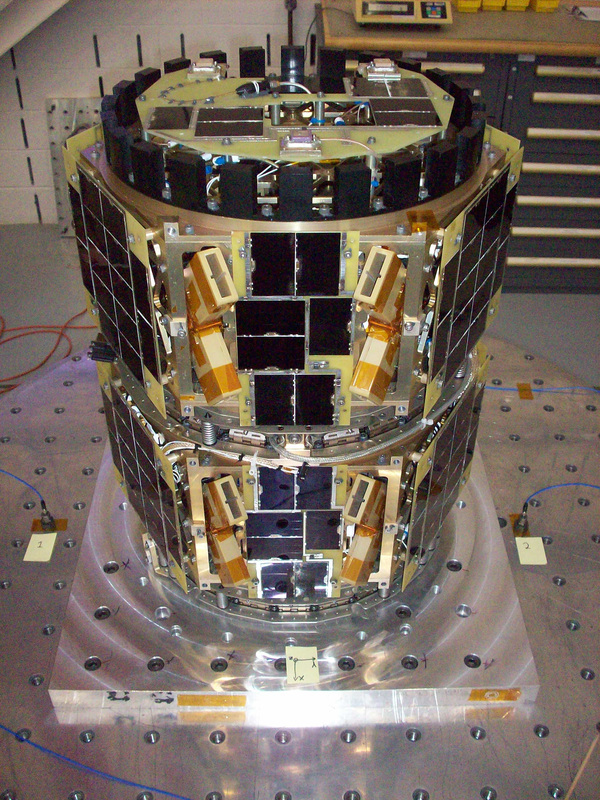 Weighing approximately 45 kg, DANDE is classified as a nano-satellite that is about 18 inches in diameter. solar activity do to atmospheric effects seen at these times in the polar regions of Earth. CUSat is a multi-year effort to design, build, and launch an autonomous in-orbit inspection satellite system. The satellite will allow us test the accuracy and viability of the carrier-phase differential GPS (CDGPS) algorithm. We hope to prove the algorithm accurate to less than 10 cm by comparing the CDGPS navigation solution to the known distance between GPS antennas. CUSat will use this relative GPS information to help determine and control its attitude. This is the first step towards having a multi-satellite system use the CDGPS algorithm to aid in autonomous inspection. CUSat is the winner of the University Nanosat-4 Program which aims to educate the future aerospace workforce and develop new space technologies. CUSAT is planning a SpaceX launch along with Cassiope and Dande, from Vandenberg into a 1500 by 325 km 80 degree inclination orbit. The satellite has a 2 watt packet radio transmitter and carries Pulse Plasma Thrusters (PPT) which can raise or lower the orbit. Built by students at Cornell University CUSat-1/2 is a 45 kg space vehicle consisting of two functionally identical satellites that will launch together and separate in orbit. Image and positioning data will be downlinked using AX25 packet radio on 437 MHz. Cross linking between the two parts will also take place on 437 MHz. Using centimeter accuracy carrier-phase differential GPS, the two satellites will perform autonomous relative navigation. One satellite will capture imagery of the other satellite and send these images to a ground station on Earth for the reconstruction of a 3-D model of the partner satellite. After launch and Launch Vehicle separation, the satellite will enter its initialization state. During initialize, the satellite will begin a self-check process to detect any malfunctioning systems. The satellite will then use Carrier-phase Differential GPS data to converge on an attitude estimate. CDGPS is a new technique for performing centimeter-level accurate position determination. Once the attitude estimate for the satellite is determined, the satellite will use its on-board cameras to take images of the Earth, Moon, bright stars, and the ISON comet (C/2012 S1) which will be reaching perihelion in November 2013. If the team are able to take pictures bright stars, then they should be able to determine the attitude of the satellite to help verify the CDGPS estimate of the attitude. The satellite will then telemeter down mission data to the Ground Segment. This data consists of images, GPS data, Telemetry, and Command and Data Handling logs. The satellite maneuvers so that the antenna is always pointed towards the Ground Segment during data transfer. After all the necessary pictures are taken, the CUSat team will perform test maneuvers using the pulse plasma thrusters. First, they will tilt the spin angular momentum. They do not want to change the magnitude, only the direction of this vector. Secondly, they will raise and lower our orbit of the satellite. In order to raise or lower the orbit, CUSat needs to fire its PPT thrusters in the direction, or against the direction of its velocity, respectively. NASA recently selected CU-Boulder as one of 24 institutions or organizations to fly tiny satellites as auxiliary payloads aboard rockets planned for launch in 2014, 2015 and 2016. 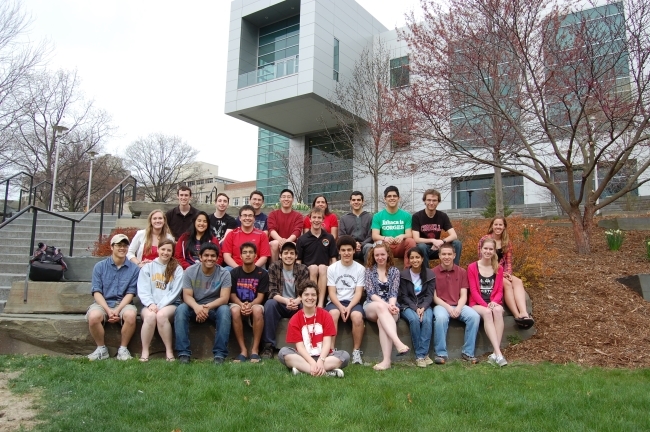 The selections are part of NASA’s CubeSat Launch Initiative, an effort that began in 2010 and involves students at institutions like CU-Boulder developing and flying CubeSat satellites, which are about the size of a loaf of bread, have a volume of about a quart and generally weigh less than 3 pounds. 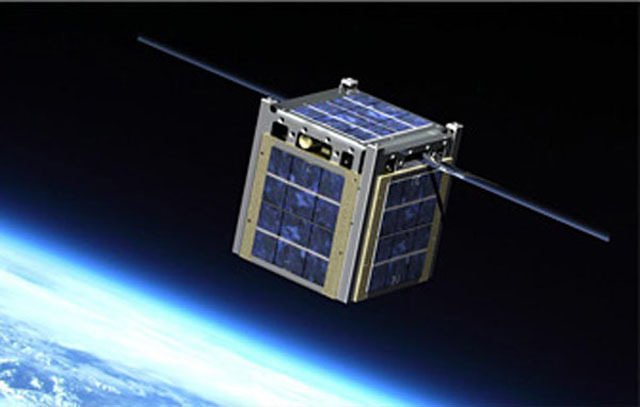 From 2010 to 2013 CU-Boulder was awarded five launch opportunities for CubeSats by NASA, the most of any university in the nation. Each launch is worth the equivalent of roughly $300,000, the going rate for commercial space payloads of that size and weight, said aerospace engineering Professor Scott Palo, whose team was selected by NASA in 2013 to design and build a flight-ready CubeSat satellite. 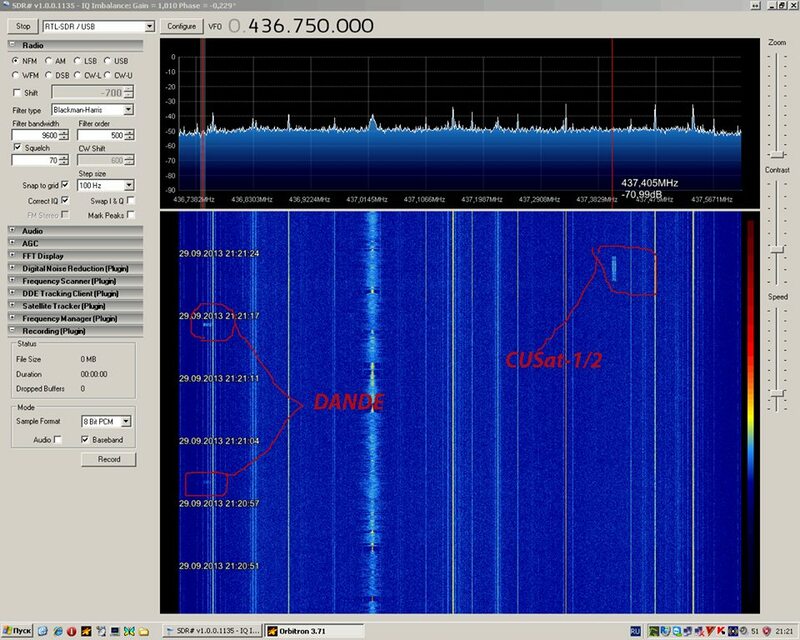 The IARU amateur satellite frequency coordination panel have agreed frequencies for CUSat-1/2, planned to launch on a SpaceX mission in the last quarter of 2012. CUSat-1/2 is a 45kg satellite that will split into two parts sometime after separation from the launcher. Image and positioning data will be downlinked using 9k6 AX25 packet on 70cm from a 2 watt transmitter. Cross linking between the two parts will also take place on 70cm. Using centimeter accuracy carrier-phase differential GPS, the two satellites will perform autonomous relative navigation. One satellite will capture imagery of the other satellite and send these images to a ground station on Earth for the reconstruction of a 3-D model of the partner satellite. The images will also act to verify the relative GPS implementation. Doing so will demonstrate how one spacecraft can diagnose the structural health and configuration of another.